Barbie announced the expansion of its Fashionistas line with “Next Gen Ken,” 15 new and diverse Ken dolls. The collection features three body types – slim, broad and original – and a variety of skin tones, eye colors, hairstyles and modern fashion looks. One of those hairstyles is a man bun. “The Barbie brand has always reflected the times, so modernizing Ken is the next step in the brand’s evolution to offer more diverse products,” says a statement from Mattel. In 2016, Barbie introduced three new Barbie body types – tall, curvy and petite – along with new skin tones, eye colors, hairstyles and countless on-trend fashions and accessories. Some are saying the “broad” Ken has a “Dad bod” but we have to disagree. “Broad Ken doesn’t have a six-pack, but he does have pecs, and abs with light definition — a far cry from the potbellied ‘Dad bod Ken’ many commentators proposed,” GQ’s Caity Weaver wrote. 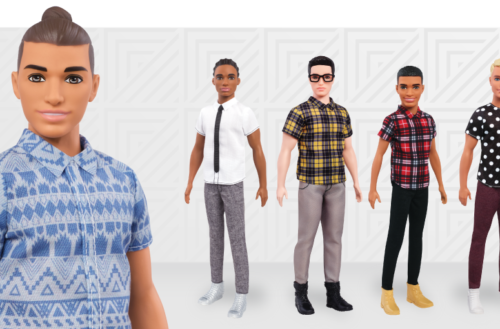 We love that their trying to be inclusive of different body types, races and fashions – however the “broad” Ken is hardly that big of a boy. Maybe they need to up their weight minimum so broad Ken has a little more meat on his bones to actually show body diversity in the collection. We have some very handsome bears and cubs we can point Mattel’s way if they need a point of reference. Broad Ken with man bun. 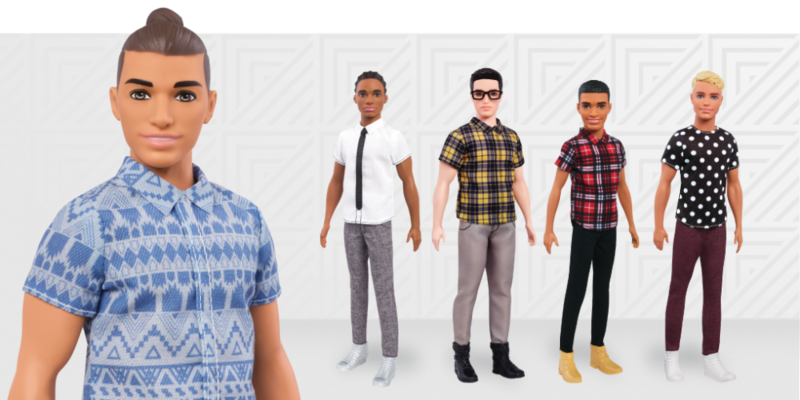 The line includes 15 new Ken dolls with three body types, seven skin tones, eight hair colors, nine hairstyles and modernized fashions, ranging from casual business attire to athletic wear. The brand is also introducing 25 additional diverse Barbie dolls. What do you think of the “Next Gen Ken” dolls?